Originally conceived by its founder, William Temple Hornaday, as a place in which to house endangered species and to conduct research, the National Zoological Park was established by an act of Congress in 1889. Hornaday, a taxidermist for the Smithsonian’s US National Museum, began to keep live animals as models in a shed behind the Smithsonian Institution Building, the Castle, and those animals soon proved popular with the public. 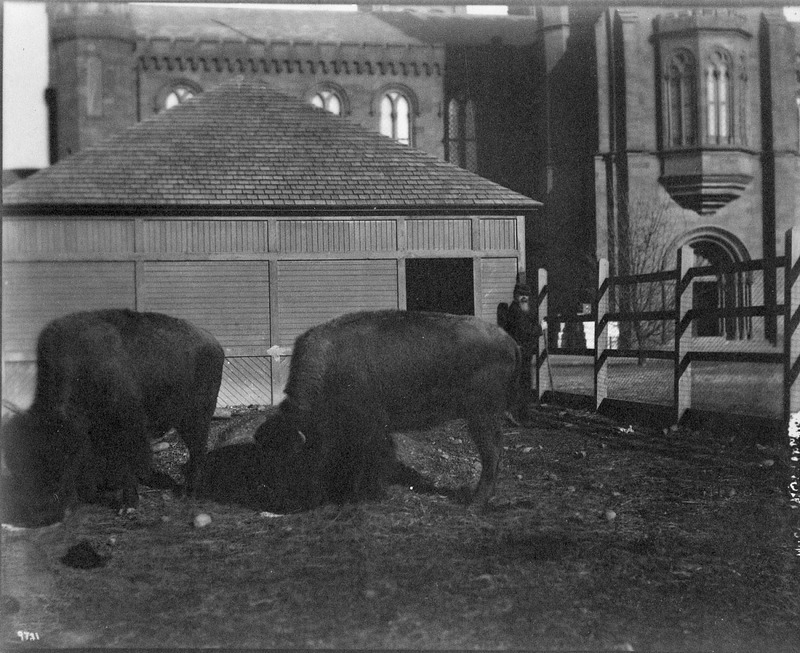 While on an 1886 expedition to the Western United States to collect bison for an exhibit, Hornaday was stunned by their near extinction and became committed to animal conservation. With the support of Secretary Spencer F. Baird, he pursued approval to create a national zoo, not only to entertain, but to educate, conduct research, and save endangered species. A National Zoological Park Commission, comprised of the secretary of the interior, the president of the Board of Commissioners of the District of Columbia, and the Secretary of the Smithsonian Institution, was formed under an 1889 act to select and purchase land for the National Zoo. In the valley of Rock Creek, located in northwest Washington, DC, 166 acres were eventually purchased for the park. Frederick Law Olmsted, landscape architect, was consulted to design the landscape and the location of the buildings. 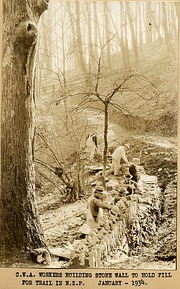 The financial burden of the National Zoo was to be shared by the US Congress and the District of Columbia, a fact which led the new Secretary, Samuel P. Langley to enlarge the zoo’s purpose to one of securing a wide variety of species for the enjoyment of the district's residents. In 1890, Congress passed another act which placed the National Zoological Park under the Board of Regents of the Smithsonian to administer the zoo and to receive and care for the animals "for the advancement of science and the instruction and recreation of the people." The first inhabitants of the zoo were the 185 animals under the care of William Temple Hornaday, who became Curator of Living Animals, for the US National Museum. Among the animals were buffalo, a black bear, wood chucks, a panther, a grizzly bear cub, a Carolina black bear, a bald eagle, turkey vultures, and black snakes, which were all shipped to Washington to be used as Hornaday's taxidermy models. Previously, those which had not been killed and preserved for the mammal collection had been shipped to the Philadelphia Zoo. The early history of the zoo was marked by the demands for building construction, park layout, roads, and acquisition of animals—all on an extremely tight budget. Despite these difficulties, the zoo and its animal collections began to take shape. 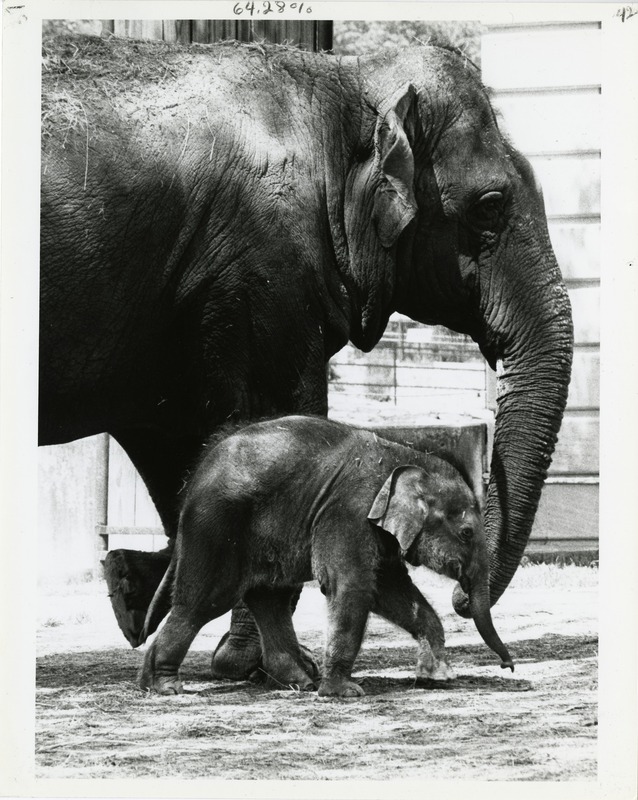 In 1891, Dunk and Gold Dust, the zoo's first elephants, and French, the first lion, arrived. 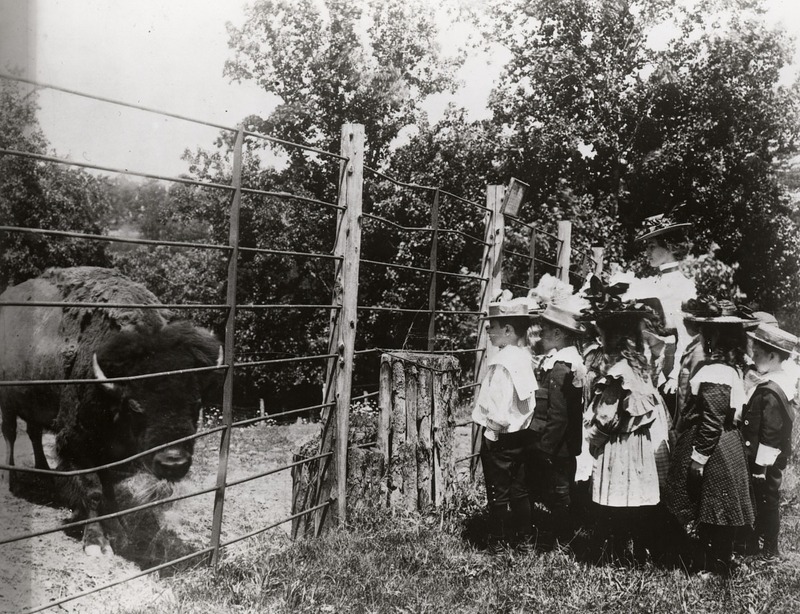 Between 1916 and 1924, the zoo continued to operate on modest appropriations. As a result, few new animals were purchased, and housing for existing animals remained inadequate. However, the popularity of the zoo continued to grow, and in 1924, 2.4 million people visited. In 1925, William M. Mann, entomologist at the US Department of Agriculture, became the fifth zoo superintendent. The title of the zoo head administrator was changed in 1926 to that of director, and Mann held that position until his retirement in 1956. Several major collecting expeditions helped add to the Zoo animal stock during the era of the Great Depression and World War II. Included were the Smithsonian-Chrysler Fund Expedition to Tanganyika, Tanzania, 1926; the National Geographic Society-Smithsonian Institution Expedition to the East Indies, 1937; and the Smithsonian-Firestone Expedition to Liberia, 1940. Mann's tenure also witnessed the construction of new animal houses and support buildings, including several which were built by the Public Works Administration and other New Deal relief programs. Artists from the Federal Arts Program painted murals, laid mosaics, and sculpted statues throughout the zoo. After Mann retired in 1956, the zoo veterinarian, Theodore H. Reed, was appointed director in 1958 and remained in the position until 1983. Under Reed's direction the zoo and its programs evolved rapidly. A 1962 master plan led to a series of phased renovation and construction projects. The Education-Administration Building, 1977; the William M. Mann Memorial Lion-Tiger Exhibit, 1976; and Beaver Valley, 1979, were just a few of the projects completed during Reed's tenure. The zoo benefited considerably by the creation of the Friends of the National Zoo (FONZ) in 1958. Originally concerned with capital improvements and modernization, the focus of FONZ activities changed to education by the mid-1960s. Several important animal acquisitions were made during the period, notably the white tigress, Mohini, in 1960; the gift of a pair of Komodo dragons from the government of Indonesia in 1964; and the arrival of a pair of giant pandas from the People's Republic of China in 1972. In the 1990s, zoo exhibits began to place animals in their natural environments, as seen in the Amazonia exhibit that opened in 1992. In 1997, the Amazonia Science Gallery was opened alongside the exhibit, an eight thousand square foot experimental science education and outreach center that continues to bring visitors into the day-to-day world of scientific research and the people who do it. 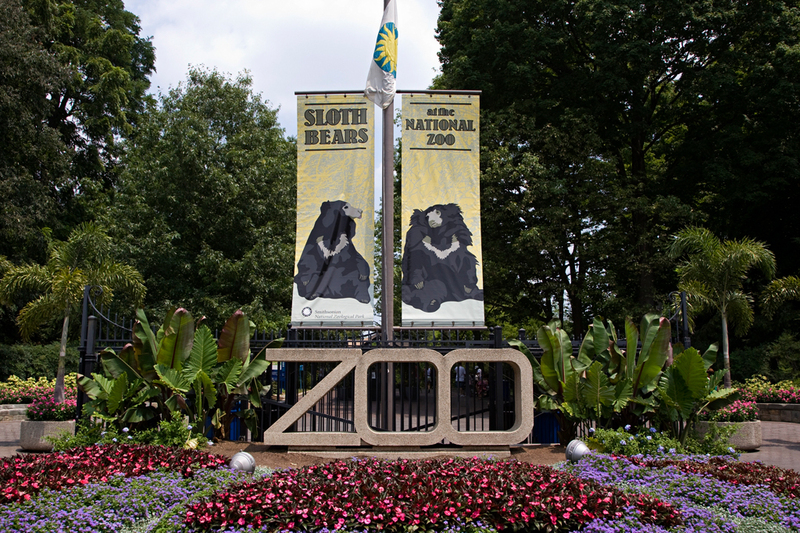 Starting in the 1960s, extensive programs in scientific research and conservation were developed to carry out the zoo’s mandate for scientific study and preservation of endangered species. 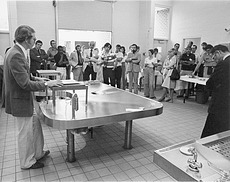 The Scientific Research Department was created in the mid-1960s to conduct studies on animal behavior, reproduction, and breeding. In 1975, the General Services Administration transferred over three thousand acres of land in Front Royal, Virginia, to the Smithsonian Institution to establish the zoo's Conservation and Research Center, now known as the Smithsonian Conservation Biology Institute. The goal of the institute is to conduct research on and to develop breeding programs for endangered and exotic species. Scientists there participated in the creation of Species Survival Plans after passage of the Endangered Species Act in 1966. In 1991, the Migratory Bird Center was established at the zoo to conduct research on the decline in migratory birds. Zoo scientists were also pioneers in the development of reproductive techniques for ensuring the survival of endangered species, and in the study of conservation genetics, to ensure the genetic diversity of endangered populations. Today, the National Zoo continues to grow. In 2006, a section of the Asia Trail opened, and work is currently being completed on a new Elephant Trail and home for the Asian elephants.